They say when the weather outside is frightful, it's the fire that's so delightful. Don’t get me wrong – an evening spent warming up by contained flames during winter months is a great way to pass the time, indoors or outdoors; however, any situation can truly only be made more delightful when embraced with a glass of wine in hand. 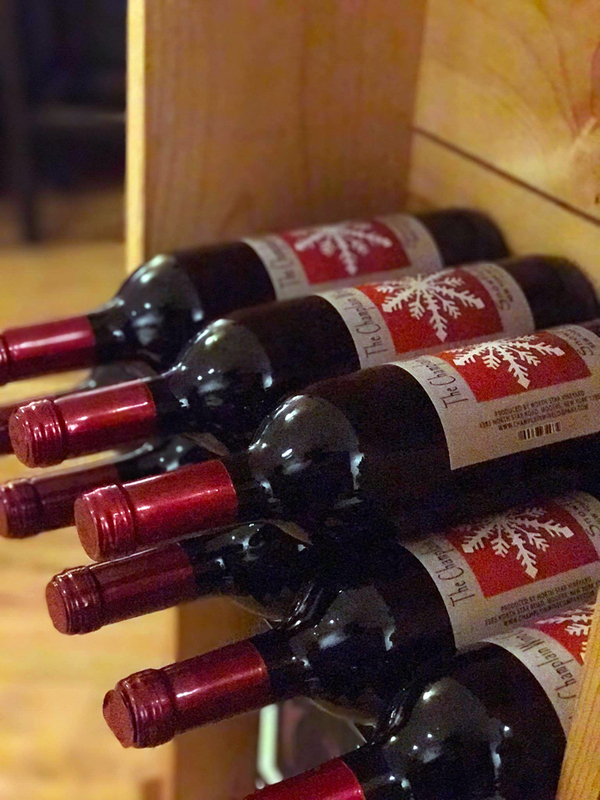 In December, that wine is usually mulled, making for a unique seasonal treat – one with a special Adirondack Coast twist! 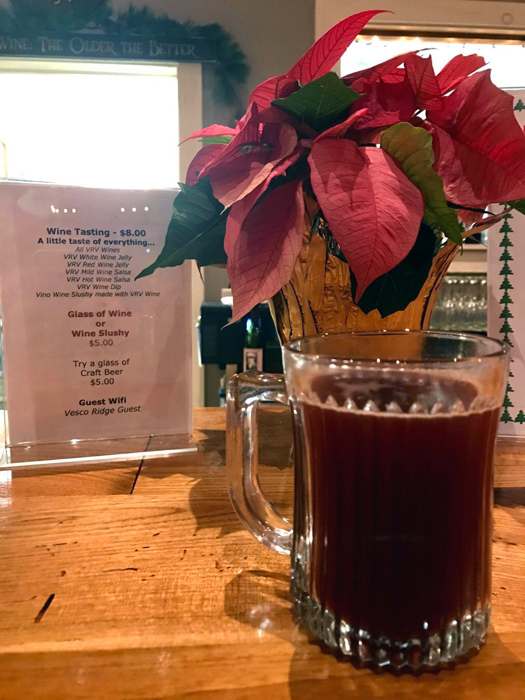 Whether you’re looking for a tasting room experience or want to make a delightful beverage in the comfort of your own home using wines from along the AVA-designated Adirondack Coast Wine Trail, you’ll find a local delicacy below to – literally – spike your seasonal cheer! 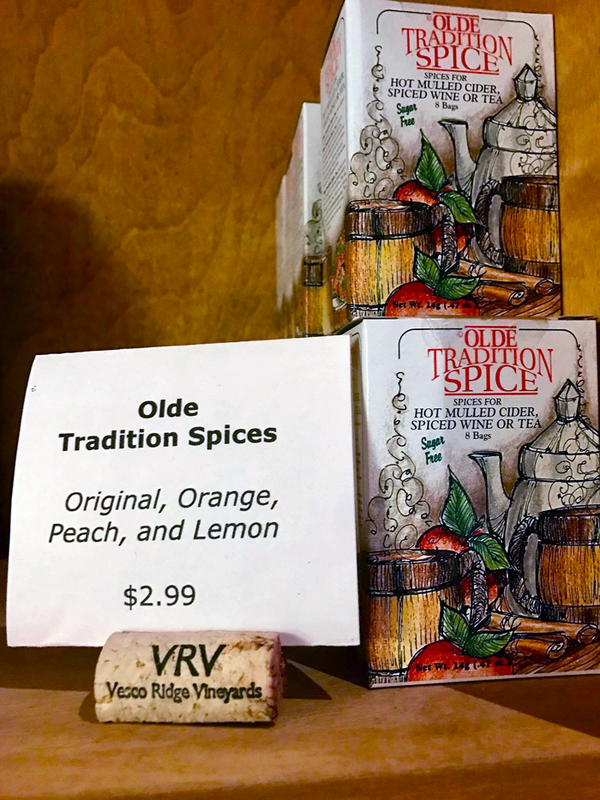 Nancy Vesco steeps 4 bags of Olde Tradition mulling spice in 4 cups of steamed (not boiling!) apple cider or apple juice, and mixes in one whole bottle of their Farm Truck Red wine. Nancy’s favorite local cider to use happens to come from Chazy Orchards, home of the world’s largest McIntosh orchard – just a quick drive down the road from their vineyard. 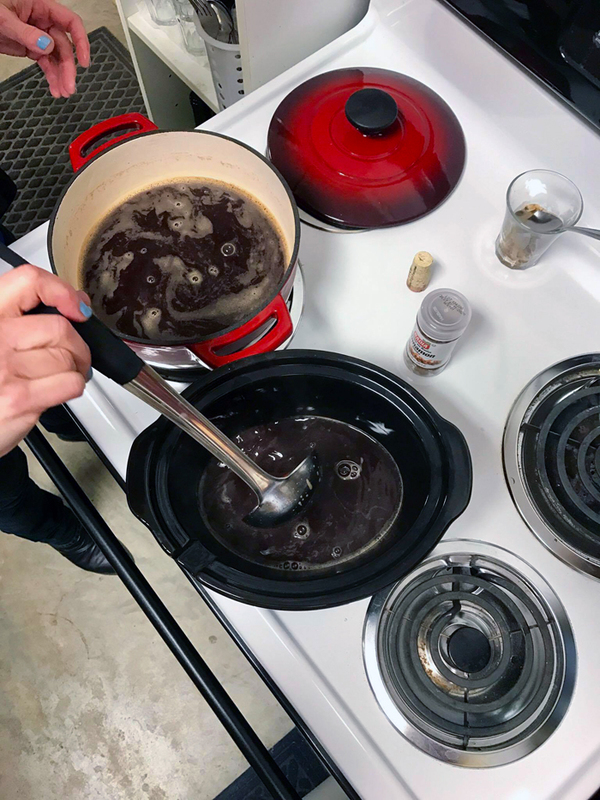 Once the spice has steeped for 3-5 minutes, add in ¼ cup honey and garnish with cinnamon sticks and orange slices – ready to serve! 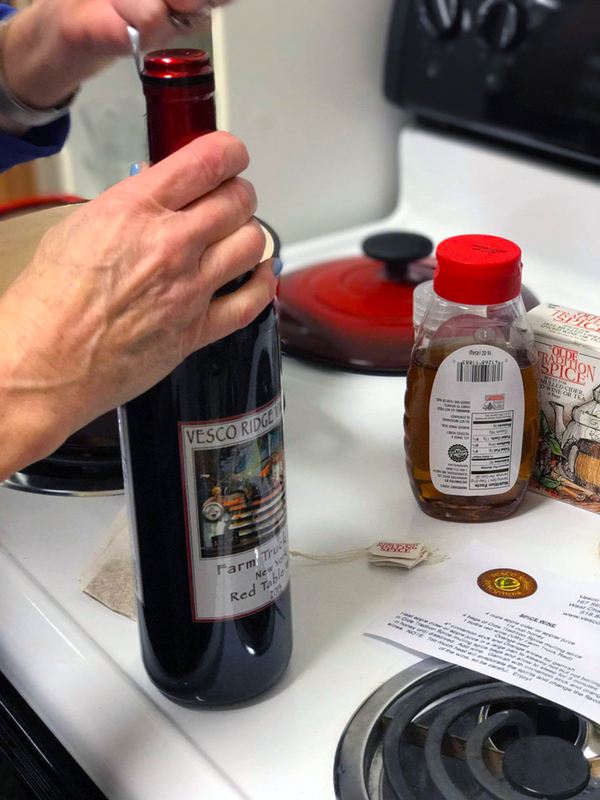 This recipe is versatile – Nancy uses a similar one to create a white cranberry punch with the same spice and one of their white wines. 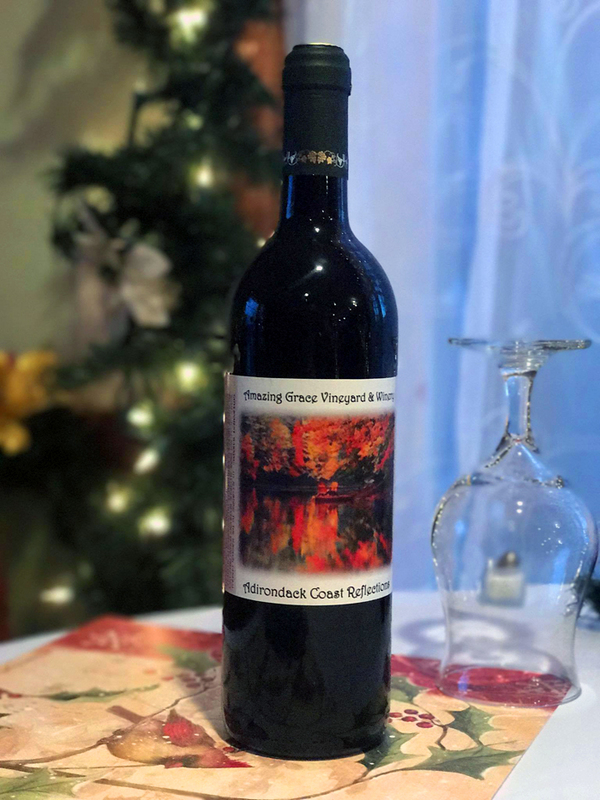 To experience either of these seasonal delights, you can head to Vesco Ridge in person, or simply purchase a bottle or two of their original wines to experiment with the recipe on your own. This sweet red combines ripe blackberries and cherries with hints of currant. 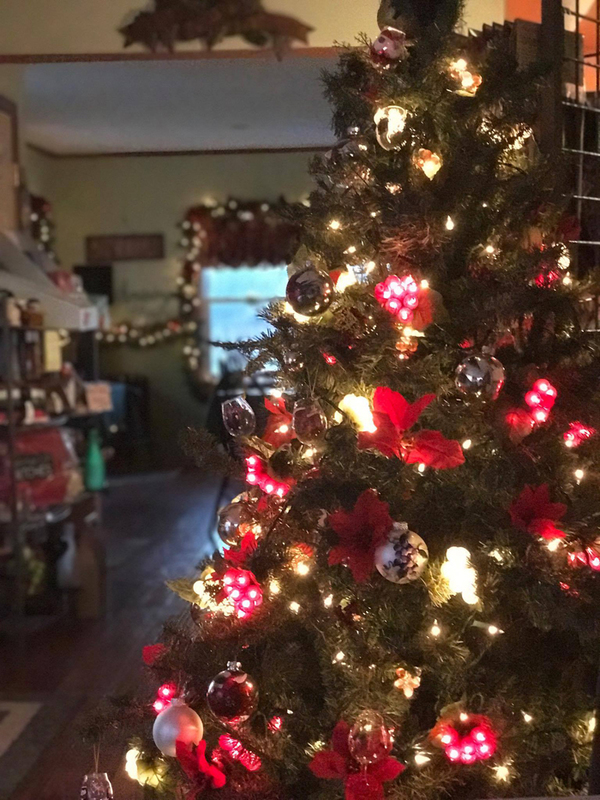 It pairs well will all manner of holiday and cold-weather foods, like beef, lamb, burgers – and any of those fancy chocolates that seem to magically appear (and then very quickly disappear) throughout the house in December. 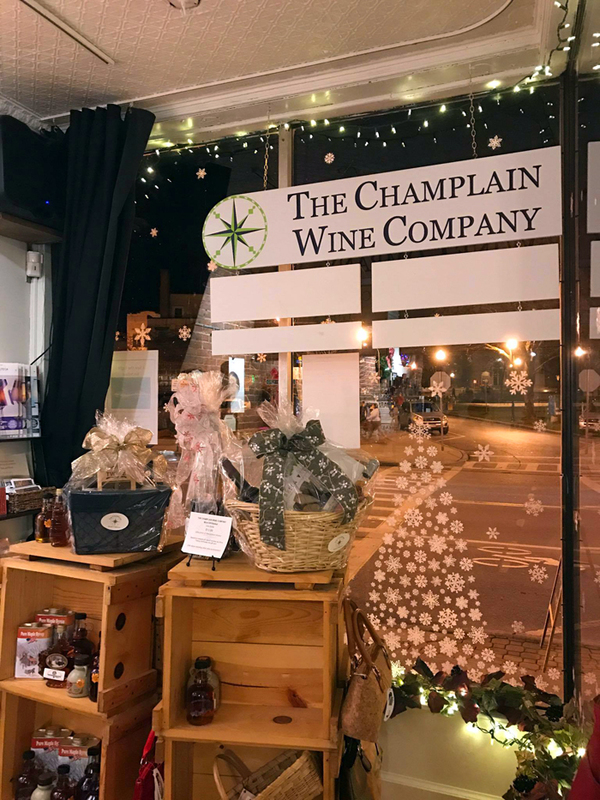 Enjoy a glass of the Snowflake Red in Champlain Wine Company’s vibrant tasting room, and then browse through their on-site gallery. 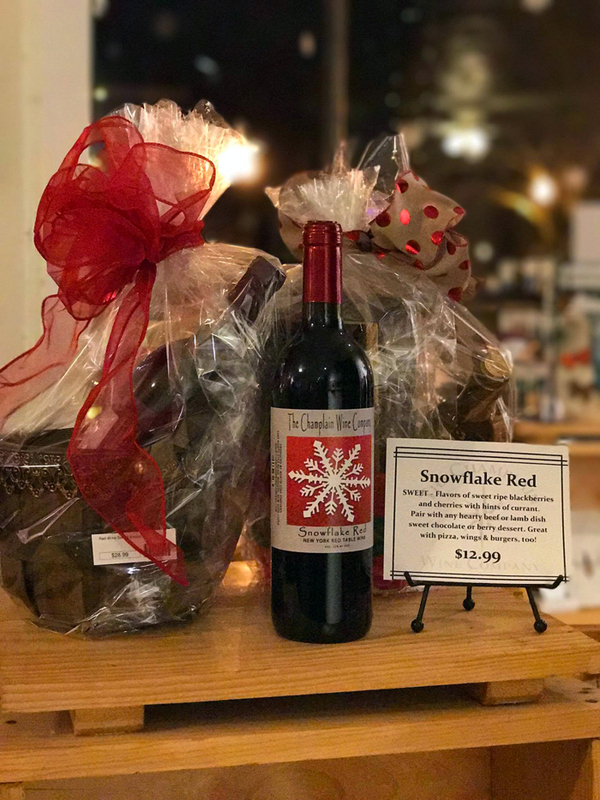 Or grab a bottle to take home and serve at your own holiday festivities! Taking a break from preparing for the vineyard's annual "Taste of the Holidays" event, Mary from Amazing Grace explained that their spiced semi-sweet red estate wine is made from 3 different varieties and includes sprinklings of cinnamon, nutmeg, clove, and orange natural grade oils, which add the authentic flavoring we crave during the holidays – without removing the alcohol (a very important detail). Whether you’re gathering around a bottle of your favorite wine or around a crackling fire, it’s who you’re with that makes this season special. But it’s always nice if who you’re with loves wine just as much as you do. 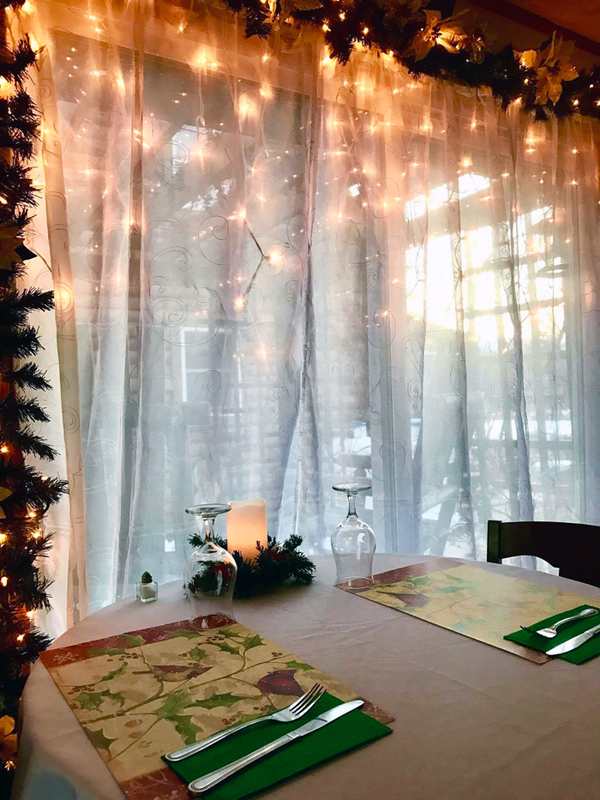 Have the best of indoors and outdoors this season when you travel along the scenic 33-mile Adirondack Coast Wine Trail, with plenty of shops and restaurants along the way to keep you and your loved ones jolly and jingling all the way (apologies in advance to the DD)! 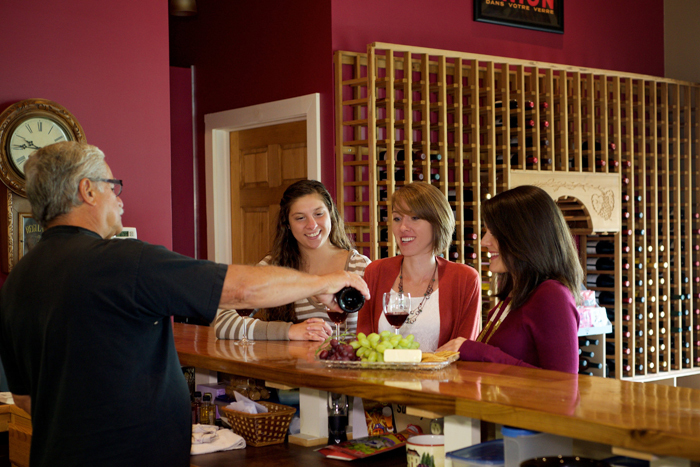 Visit adkcoastwine.com for more info, or scope out the trail on social media when you follow facebook.com/ADKCoastWineTrail and instagram.com/adkcoastwinetrail.